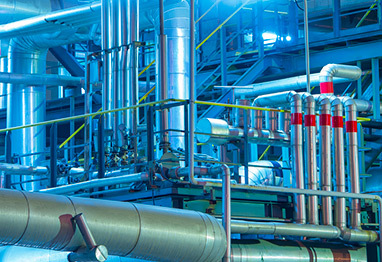 Over the past 20 years, industrial facilities have experienced a dramatic change in the way they manage and maintain their in-house facilities. Often times, departments that formerly housed utility record data are either down sized or completely eliminated altogether due to corporate restructuring. This creates a substantial issue when the time comes to either repair or expand the existing plant infrastructure. BSI has been assisting numerous facility managers and design consultants alike by providing subsurface utility engineering (SUE) services to private industrial entities such as Intel Corporation, Lucent Technologies, Monsanto, Pfizer, AstraZeneca, and Genzyme just to name a few. Our stringent Health & Safety protocols accompanied by our 100% OSHA certified staff, enables our field crews to maintain safety in the most adverse manufacturing and industrial environments. HAZMAT and HAZWOPR trained personnel are also available for your complete SUE project needs.